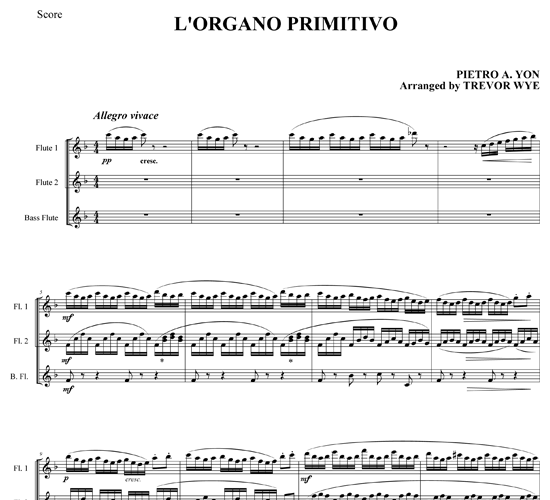 Pietro Alessandro Yon (August 8, 1886, Italy – November 22, 1943) studied in Milan and Turin and served as organist at the Vatican in Rome. 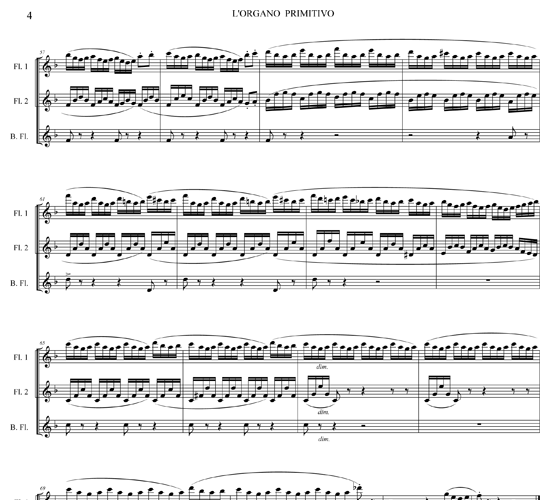 He became an American citizen in 1921 becoming organist at Saint Patrick’s Cathedral in New York. 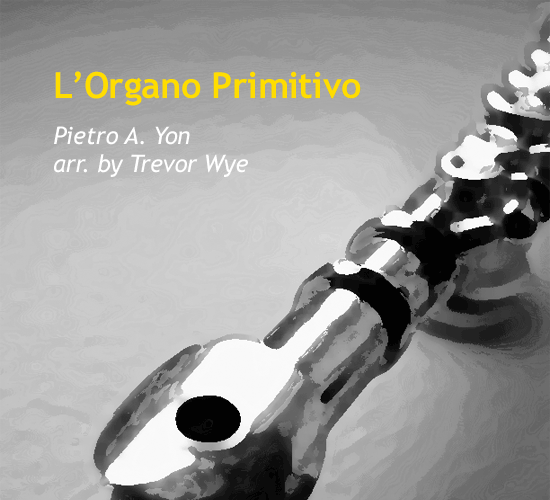 Yon's best known instrumental work is this “Humoresque “L'organo primitivo” a Toccatina for Flute,” written in 1918, which was inspired by a primitive portative organ he saw in the Metropolitan Museum of Art. 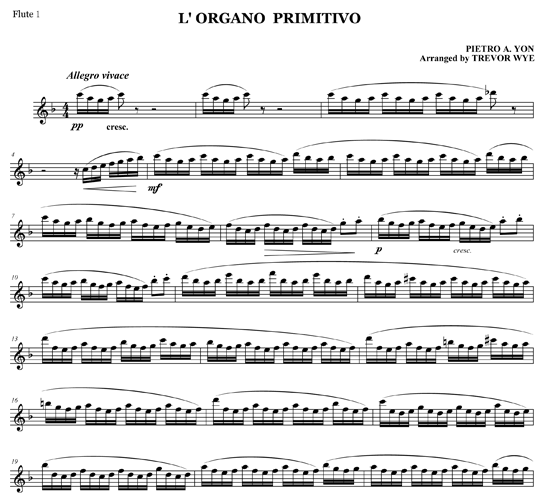 “Flute” refers to the stop to be used, making it eminently suitable for two flutes and a bass flute. 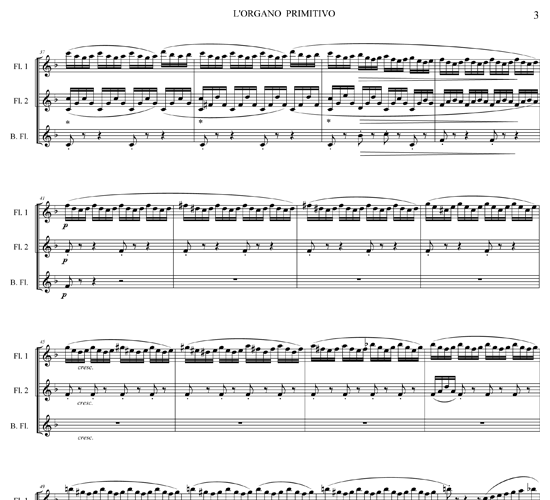 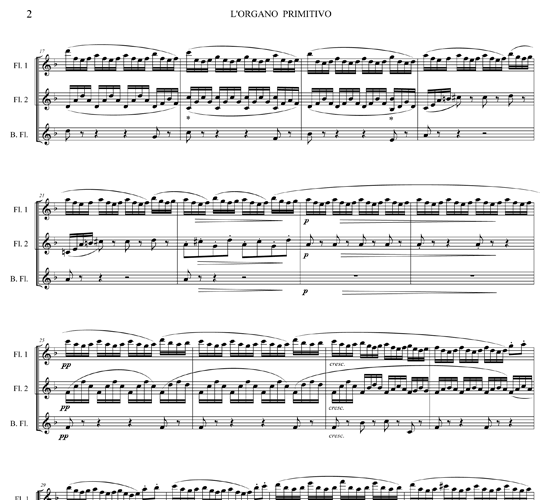 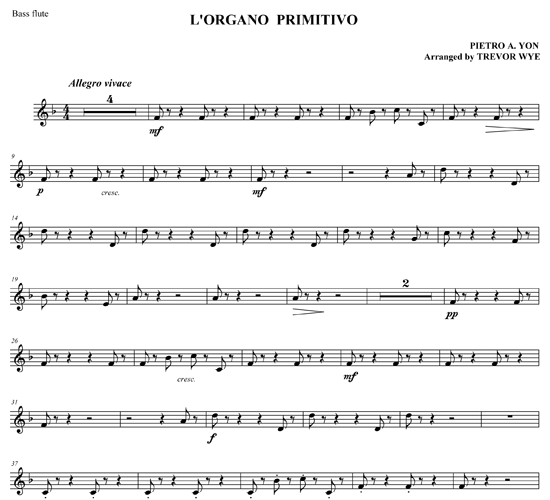 “L'Organo Primitivo” is an amusing work that is especially suited as an encore.